Contains: Binocular Flask. Realistic looking Binoculars with purpose built secret compartment. 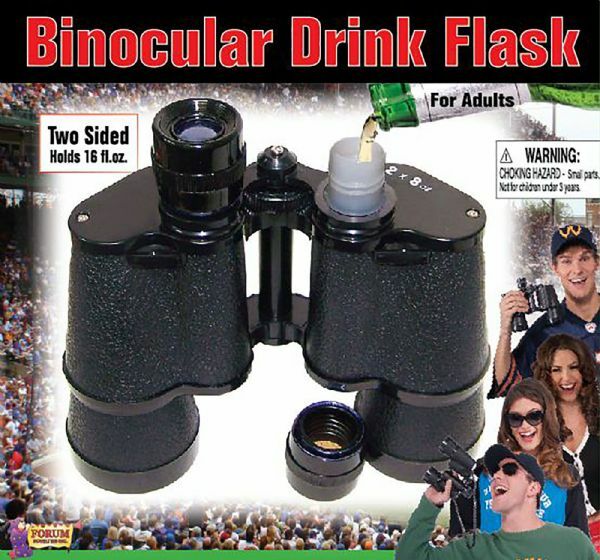 Ideal for festivals, football matches and other places where sneaking a drink in will be hard work! Also great for camping to hide your money or other valuables!.